Unfortunately, Monte was unable to attend due to an unexpected scheduling conflict. 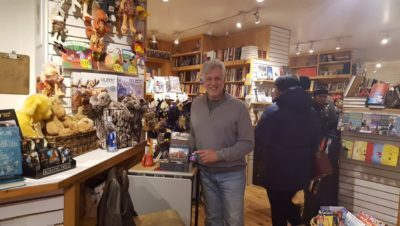 Tourists and visitors to Dolly’s Bookstore were introduced to a myriad of Utah stories and the authors who wrote them at a recent event in the popular resort community. 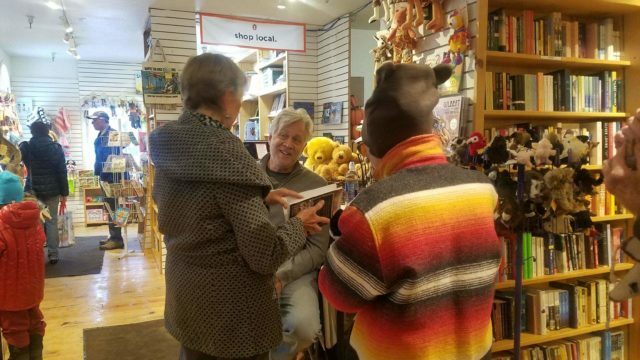 Author James Nelson chats with customers about “Legends, Lore & True Tales in Mormon Country.” The book is one of the many projects undertaken by the Mormon Pioneer National Heritage Area (MPNHA). Book store officials say the MPNHA history compilation of stories has been a fast seller, ideal gift and a real favorite ever since its release. If you would like to have a book signing at your location, please contact Monte Bona at (801) 699-5065. This book is available from Amazon and several local bookstores and is a perfect gift for history buffs. If you have any ideas for stories to be shared in a planned upcoming book, please let us know.